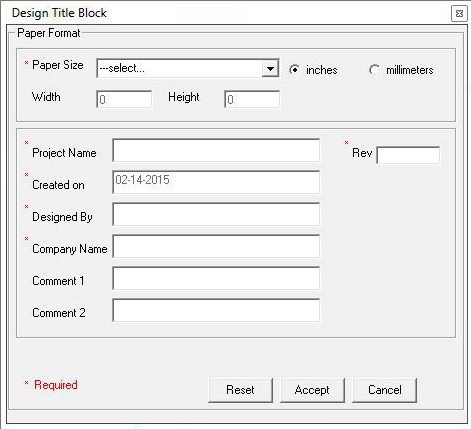 Schematic Editor now contains an auto-generated title block into which user can insert project name, company, paper size etc. Select File Menu from EDWinXP Project Explorer. Click on 'New Project' option. Select File menu from Schematic Editor. After filling the required fields, the title block will be generated as shown below. 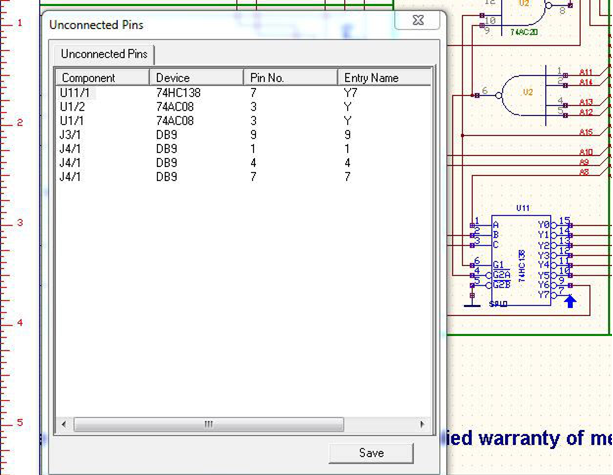 There is a new option in Schematic Editor to list unconnected pins. The user can click on pin names that are unconnected and they will be highlighted. The list of unconnected pins can be exported as html report. Click on Info menu in Schematic Editor. 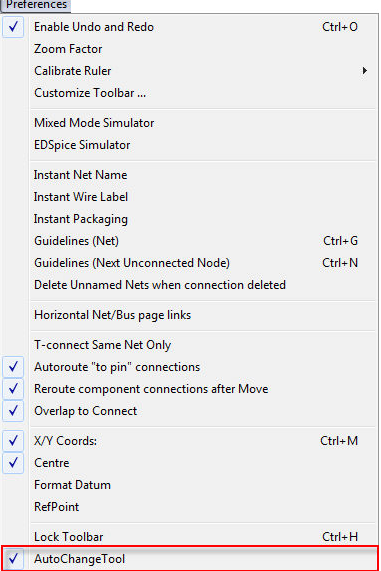 Select 'List of Unconnected pins' option. A window containing the list of unconnected pins will be pop up. Users can now toggle the “Auto change tool” in Schematic Editor ON/OFF. (By default, the “auto-change” tool is enabled). Check whether the Auto Change tool is enabled or not. Otherwise, click on Preferences menu and select Auto Change tool. Components can now be rotated in clockwise direction by selecting theoption tool (or by pressing F7) in the Relocate function tool and then select the component to rotate.